Learn what to expect from Brisbane? - Find out moving costs to Brisbane from the UK - Basic information! If you are planning a move to Brisbane from the UK first thing that bothers you is the moving cost. Can you afford to take all your belonging with you? How much it is to move furniture to Brisbane from the UK? How to move excess luggage to Brisbane? What is worth taking with you to Brisbane? What items to leave behind? Finally made a decision to leave the UK and move to Brisbane? Congrats on it! Planning a house move and organizing a new life, especially in a remote country is always difficult and can bring a lot of confusions. Here we will try to help you get through the move from UK to Brisbane without any trouble. Moving a House, apartment & furniture to Brisbane - Selling your house or apartment in UK before the move is very important issue. If you need money for starting up in Brisbane, it is crucial to find a buyer. Remember, that it can take a lot of time for a house to stay on a market before it gets sold. If you are in a rush, then you will get much less money for your property. Sometimes people put their house or apartment on market just to check if the price is adequate and if there are some buyers willing to make the final deal. It might sounds obvious, but it is easy to forget when you’re coping with millions of things connected with the move to Australia. Next thing to consider is taking furniture and shipping electronics with you. For new (less than 12 months old) you will have to pay custom. Older – it is good to ship to Brisbane if they are high-class and very expensive, or they are of sentimental value. Electronics is cheaper than in the UK, so many people immigrating to Australia leave most of it behind. Additionally it simply makes more costs to move TV, toaster, and many, many others. Australian sockets are different, so adapters are required for British products. Quite popular is also selling a fully furnished apartment or house. The most popular way to transfer, move goods from the United Kingdom to Brisbane is a shipping container to Australia - 20ft container or 40ft container. The weight doesn’t matter – the price is based only on the volume of your stuff. So if you are considering taking books, pans or pots with you to Brisbane, don’t even thing about moving it by air – it will cost you a fortune! 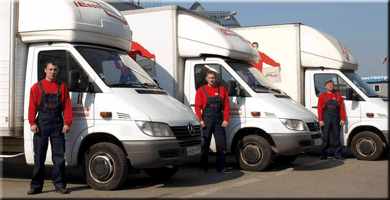 Removal companies specializing in moving furniture to Brisbane, double beds, 2-seater sofas, wardrobes, side tables, cooker, oven and excess luggage can wrap all goods and pack the container for you and, believe or not, they can make miracles. They can fit everything precisely and safely. The only disadvantage of sea shipping from the UK to Brisbane is the time. It takes from 10-12 weeks for door to door delivery. This period includes the transport from your British address to the UK seaport, the time at sea, then Australian custom, and finally delivery to the Brisbane address. On the contrary, the air freight from the UK to Brisbane is a matter of days, but the shipping price is based on the weight, and partially on the size. Thus think about taking as many suitcases and other luggages as your airline allows you without any additional fee. Remember to check the weight and the fees for every kg of excess baggage. Another useful option is air-moving of additional luggage. You can easily check it on the Internet on carriers’ websites. People most often use it to send their clothes and personal items in boxes to Brisbane. At this point think what clothes you will need in Brisbane. Winter boots, fur, wool coat, sweaters – definitely can be crossed of the moving list. They take a lot of place in the suitcase and would be useless taking into account the climate in Brisbane. You do not want to move any luggage you simply want use. A laptop, IPad or smartphone would be good for the Internet connection. It will help you with getting and moving around, navigating. If you got good quality kitchen utensils – pots, pans, cutlery, wrap it up right away. Those are the things that people had been collecting for some time and their reliability is worth packing and moving in the container to Brisbane. It can take a lot of time to pack all your belongings and decide what to sell, dispose, give to charity or family and friends. Things you are bringing with you should be practical, beautiful, or of sentimental value. Do not take to Brisbane any items just because you have them. When booking a flight to Brisbane try to find the shortest flight possible. It always takes over 20 hours to fly from UK to Brisbane so it is extremely tiring. Additional problem is the jet lag, but you will just need some time to accommodate to time change. On the way to Brisbane you would have to change plane at least once, most probably somewhere in South East Asia, in example Singapore or Kuala Lumpur. If you are moving with kids to Brisbane with a lot of had excess baggage, well, you will be double exhausted. Unfortunately there is no good advice for moving with children on that long flight. You all will have to cope with the inconveniences of the removal. One of our customers ask for an option for three of her kids to be taken in the sea moving container with the furniture, but with all the understanding from other young parents, we had to say no… we do not offer an option to sea-ship the children. Previously we prepared basic info about Australian customs. Generally speaking, don’t mess with them! They stick to the rules, which are very strict. Do not conceal anything in your luggage or moving boxes. It is not worth the problems you may have. Complex custom procedures can significantly extend the time that containers moved from UK to Brisbane before it will be delivered to your door. You never know how long it will take to pass the Australian customs clearance. You may be laos interested in reading about things to do in Brisbane. The most necessary kitchen utensils and basic food products you can buy in K-Mart, WoolWorth’s or Cole’s (a bit more expensive). You must know that you can not move food to Brisbane. There are also equivalent of Pound Shops or Savers (in example Crazy Clark) but they are good only if you are waiting for proper quality goods that have been sent to Brisbane from the UK in a moving container. While waiting for furniture you can rent some. In Brisbane you can rent absolutely everything – beds, sofas, wardrobe, microwave, washing machine, TV set, DVD player. 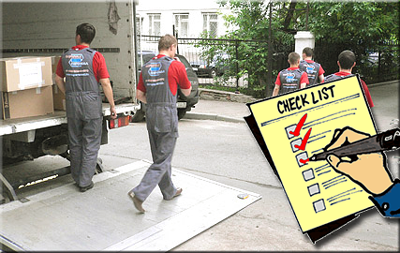 The local movers in Brisbane are not cheap but they will be happy to move anything you want. It is very convenient, but it is wise to calculate the moving cost to Brisbane. Thus, the low price per day can arise quite big when renting for a month or two.